With this much forewarning, it’s almost impossible to take the concerns seriously and, yet, latest reports and updates from the City of Seattle indicate that we’re about to get hit by drive-time snow around the Puget Sound. We’ll update this post as events warrant. If you have a tip or a picture others should know about, let us know at chs@capitolhillseattle.com or by calling or texting (206) 399-5959. First reported snowflake gets a CHS crow button. 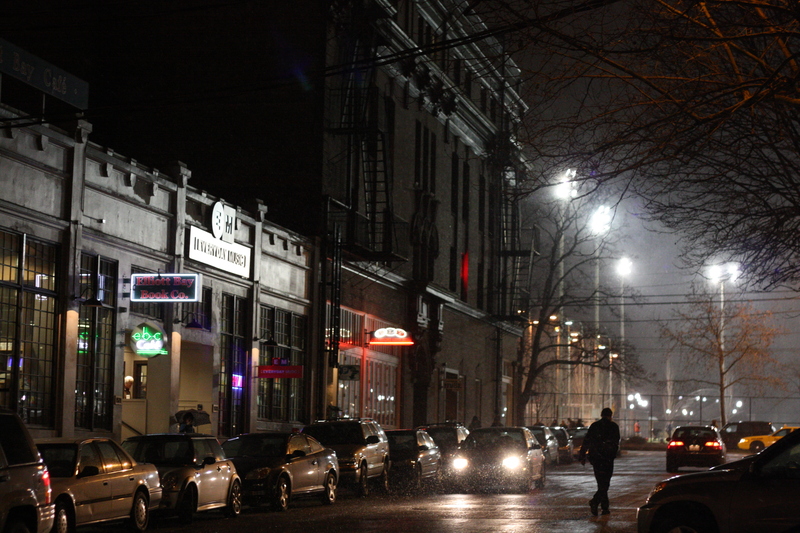 Stay warm, Capitol Hill. Department of Transportation would like you to leave work early, please. SEATTLE – With weather forecasts still calling for one to three inches of snow falling between 4 p.m. and 8 p.m., the Seattle Department of Transportation (SDOT) recommends that commuters begin their trips home early this evening to avoid snow related problems. At 4 PM I will do a nowcast on this blog…describe what is happening at that time and what is expected over the next few hours. I want Cliff to live true to this — not just local but “very local” too. Capitol Hill-only predictions, professor! this is pretty typical from my experience in seattle. when we get lots of warning, nothing really happens. when there’s little to no chance of snow predicted, we get dumped on. i’m no meteorologist but i’m going to predict that aside from some light, widely scattered flurries most people on the hill won’t see any snow tonight. And not the kind in strollers. Or the dust is really heavy falling in front of the streetlights. there has been a light dusting of snow on broadway for about 10 minutes. A plowing/salting truck just went up and down the (often problematic) stretch of Thomas just E. of 19th: the stretch where bendy trolleys traditionally jackknife during real snowstorms. Guess I’ll just buy a button….